Len retired in 2010 after 41 years in Canada’s public service. He was the G8 and G20 sherpa for Prime Minister Stephen Harper from 2008 to July 2010. During his career, he held several appointments as deputy minister, with Foreign Affairs (2007–2010), Agriculture and Agri-Food Canada (2004–2007) and International Trade (2001–2004). He also served as Canada’s ambassador to Japan and Korea, and as assistant deputy minister for trade and economic policy and for the Asia-Pacific. He organized the G7 economic summits in 1988 and 1995 and the Commonwealth Heads of Government Meeting in 1987. As Canada’s senior Asia-Pacific Economic Cooperation (APEC) official, he led all preparations for the 1997 APEC Summit in Vancouver. He has worked in the former Saigon (now Ho Chi Minh City), in Hanoi and Ankara, in Brussels at the North Atlantic Treaty Organization, and in Geneva with Canada’s Permanent Mission to the United Nations. In retirement, Len has been a distinguished fellow of the Asia Pacific Foundation of Canada, a mentor with the Pierre Elliott Trudeau Foundation, a board member in the not-for-profit sector, and an adviser to a major Canadian law firm and the Government of Canada. He has received numerous honours, including Canada’s Meritorious Service Medal as Canada’s G8 and G20 sherpa in the lead-up to Canada’s host year of 2010, and Japan’s Order of the Rising Sun, Gold and Silver Star for his contributions to Canada-Japan relations. 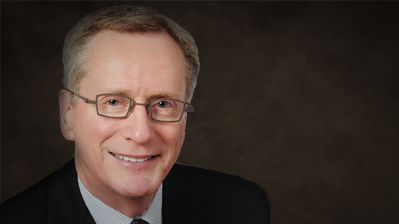 He also holds an honorary doctor of laws degree from the University of Saskatchewan.